That is 100% true. That is the way that the nation that was invented in 1968 in Russia defined themselves and their capital. A strange statement to define your capital in an area which you have no control over. It is like someone defining the White House as his ancestral home. Put that aside for a moment and let us try and understand why they defined it as such. It is because it has been drummed into the Arab minds that Jerusalem is one of their three Holy places after both Mecca and Medina. But is it? The Jewish connection to Jerusalem is well documented, not only in the bible but also with a plethora of archaeological artifacts and evidence. Judaism made Jerusalem a holy city over three thousand years ago and through all that time Jews remained steadfast to it. Jews pray in its direction, mention its name constantly in prayers and in the the Passover service we say "Next year in Jerusalem,". In a wedding ceremony we smash a glass to remember the destruction of Jerusalem and we even have fast days. It is also the only city with a Jewish majority for the past few hundred years. Christians have a claim as this is the site of the via dolorosa and the site where Jesus was reported to be buried. However despite three crusades to rid Jerusalem from non-Christians, the Catholic pope has always resided in the Vatican. The Christian connection is also strong. But what about the Islamic connection? It is not mentioned in the Holy Koran. The entire Holy Land belongs to the Jews according to the Koran and Jerusalem was there at the time. The basis of the Islamic claim is Sura 17 which claims "Glory to Him who caused His servant to travel by night from the Sacred Mosque to the al-masgid al-aqsa, whose precincts We have blessed, in order to show him some of Our Signs, He is indeed the All-Hearing, the All-Seeing". Al-masgid al-aqsa means the "Furthest mosque". Mohammed was reported to have traveled to the Al-masgid al-aqsa on a mythical winged beast with the body of a horse and the head of a woman known as the Buraq. The Muslims claim that the Al-masgid al-aqsa in in Jerusalem, however Mohammed died in 632 and the Al Aksa mosque in Jerusalem was built a hundred years later. Jerusalem was only invaded by the Muslims five years after Mohammed's death. According to Mordechai Kedar, an Israeli scholar of Arabic culture, and a lecturer at Bar-Ilan University, early Islamic sources state that the "al Aqsa Mosque" (literal meaning: 'the farther mosque'), was one of two mosques located near Ji'irrana which is now a part of Saudi Arabia. One of the mosques was called "al-Masjid al-Adna," meaning the "closer mosque" and the other "al-Masjid al-Aqsa", the "farther mosque." When the Koran refers to the al Aqsa mosque while telling the story of the Prophet Muhammad's night time journey from the "holy mosque" of Mecca to al Aqsa, that is, the "farther mosque," it is referring to the mosque in Ji'irrana. So the Muslim claim is in a word, dubious. Muslims do not pray towards Jerusalem, they pray towards Mecca. The Haj is to Mecca. When the Holy Land was conquered by the Islamic invaders and then occupied by the Muslims, its capital was Ramle, 30 miles to the west of Jerusalem, signifying that Jerusalem meant nothing to them. So where if any is the religious significance? So, with what right do the Palestinians demand Jerusalem as their capital? When a part of Jerusalem was occupied by Jordanians, the newly created PLO, or Palestinian Liberation Organization, the sole representative of the Palestinian people (as defined by the Arab League and the United Nations), rescinded all claims to areas occupied by Jordan. So, again, with what right do the Palestinians demand Jerusalem as their capital? The answer is simple - with the Palestinian belligerency and threats, they can do anything they want and no one, until President Trump, has put a stop to them. Is there any legal justification for the creation of a Palestinian state? A question was posted on Quora.com as this: "Since the Palestinians rejected the partition plan, is there any legal justification for the creation of a Palestinian state?". I will endeavor to answer that question. The justification of an Arab Palestinian state exists. It was created in 1922 and ratified in the Treaty of Lausanne. 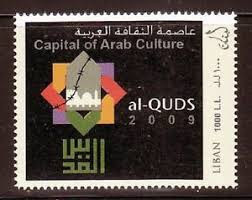 It was originally named “Arab Government of the East”. Today you know it as Jordan. 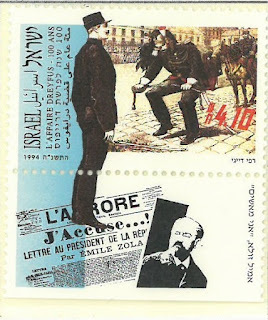 It was created as Arab Palestine and even used overprinted Mandate Palestine stamps. Article 6. The Administration of Palestine, while ensuring that the rights and position of other sections of the population are not prejudiced, shall facilitate Jewish immigration under suitable conditions and shall encourage, in co-operation with the Jewish agency. referred to in Article 4, close settlement by Jews, on the land, including State lands and waste lands not required for public purposes. This is actually the law enabling Jewish "settlement" activity. In essence it was the British governors who failed to adhere to this law. Nothing about any other entity to the west of the Jordan river besides the Jewish National Home . This in effect means that the partition plan of 1947 was illegal and non-binding. Whether the Arabs accepted or rejected it means nothing, it was illegal under international law. Under the law, the UN agreed to accept all decisions of the League of Nations meaning the boundaries of Arab Palestine and Jewish Palestine. 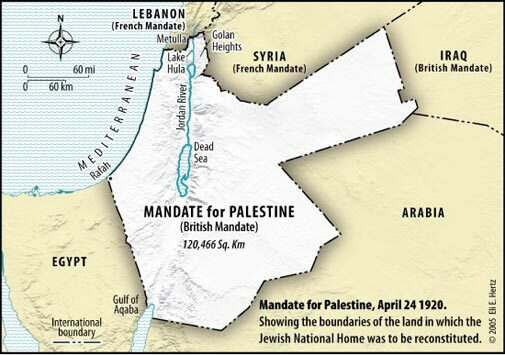 May 15th 1948, the British Mandate for Palestine ended and the neighboring Arab states invaded Israel and so the Arab occupation began.At the end of this war in which the Arabs had hoped to erase Israel there were ceasefire discussions. The Arabs demanded that it would not be a border. The 1949 Armistice Agreement, also known as the ‘green line”. The Armistice Demarcation Line is not to be construed in any sense as a political or territorial boundary, and is delineated without prejudice to rights, claims and positions of either Party to the Armistice as regards ultimate settlement of the Palestine question." Take note: the so-called 1967 border is not a border but a ceasefire line. People have said that after 1967, Israel was in violation of the Fourth Geneva Convention, part IV which deals with occupied territory. Article. 49. Individual or mass forcible transfers, as well as deportations of protected persons from occupied territory to the territory of the Occupying Power or to that of any other country, occupied or not, are prohibited, regardless of their motive. If people claim that Israel violates that convention, then why were they silent when Jordan occupied Judea and Samaria? Secondly, what occupied territory? You cannot occupy your own territory. In addition, it is talking about deportations, transfers etc. Explain how that is relevant? In addition, the section deals with sovereign states. That would be Israel and what other state? The Jordanians occupied the area illegally, so what other state? In addition in 2016, the French courts said that Israel is the legal "occupier" of Judea and Samaria, claiming that the area is Israeli under international law. All that being said, the so-called "Palestinian" Arabs do not want to live with Jews. Does Israel behave like the Spaniards when the Catalonians elected not to be a part of Spain and reject their demand? Or do we say, "OK, we signed an agreement and area A and B is yours, do whatever you want there". Will the Arabs accept that? What are the pros and cons of a two state solution for Israel and the Palestinian people? This question was posted on Quora.com. I posted an answer and the moderators decided that I violated their policy of "be respectful and be nice" and collapsed it. Perhaps they are correct that in this case I am not respectful to the Palestinian people. I am reposting here so that you can be the judge. Here is the link to the original article: What are the pros and cons of a two state solution for Israel and the Palestinian people?. If you have access to Quora, please upvote my answer. Do they have their own culture? Do they have their own history? Do they have their own religion? Do they have their own flag? The answer to all of that is NO. The areas that they live in have belonged to the Jewish people for thousands of years. Up until 1948, the area known today as the West bank was known as Judea and Samaria. All proven facts. Two state solution? Look at the facts. When the PLO was founded in 1964, they specifically declared that the area occupied by Jordan and Egypt was not a part of their future demands, that includes what you refer to as East Jerusalem and the Jewish Holy Places. Article 24. This Organization does not exercise any regional sovereignty over the West Bank in the Hashemite Kingdom of Jordan, on the Gaza Strip or the Himmah Area. Its activities will be on the national popular level in the liberational, organizational, political and financial fields. Look at the Fatah maps - see any two state there? look at the PA insignia - any two state? Look at their official logo: Palestine Liberation Organization. Hamas and Fatah all said that any solution is temporary, a hudna. So the con is simple, there is little hope for peace. What Israel must do is to withdraw from Area A and B and make that the border. They can self-govern that. Oh wait, tried that, it was called Oslo A and B. 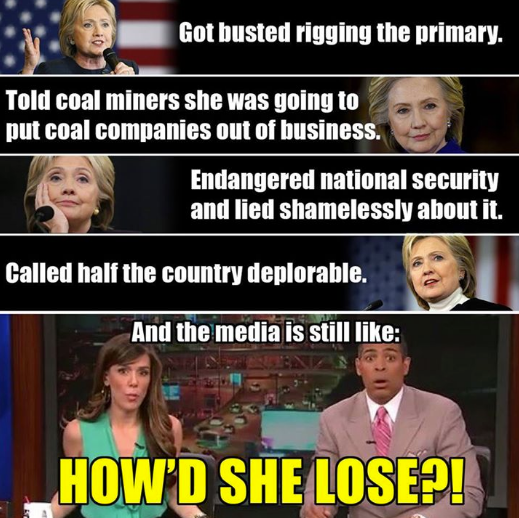 What a proven failure. Billions of dollars poured into that area and instead of building a nation, they created pure terror and billionaires. Less terrorism thanks to an international border. However leaving Gaza has shown us that that is wishful thinking. Why does Israel want to shift the capital to Jerusalem? This question was seriously posted on Quora.com. I posted an answer and the moderators decided that I violated their policy of "be respectful and be nice" and collapsed it. I am reposting here so that you can be the judge. Here is the link to the original article: Why does Israel want to shift the capital to Jerusalem. If you have access to Quora, please upvote my answer. This question is proof of that. Jerusalem is and as always been the capital of Israel and the Jewish people. No one else has any valid claim to the city. Do you know how long it has been the capital? 3000 years! It was the capital of the Jewish Kingdom of Judea and the symbol of Judea exists in Jerusalem today. Who has the right to define where your capital city is? The country where the city is situated or someone else? Apart from Israel and the Jewish people, has Jerusalem ever been the capital of any other country? Or even nation? 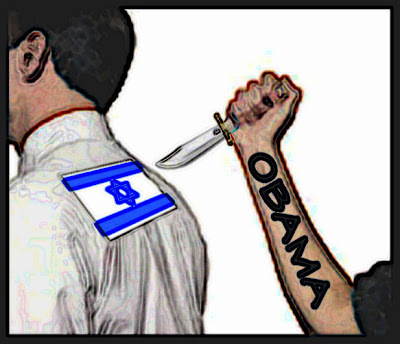 On Christmas eve, the Americans pushed for a Security Council vote against Israel which passed. Why did it pass? Because the Americans did not veto it. A day earlier, Egypt pushed for the same vote but withdrew it probably because of President elect Trump. So, who asked for it in the end? New Zealand, a Christian country, among others. Why is it relevant that New Zealand, a Christian country pushed for it? You will soon understand. Why did Obama push for this? Why did Kerry push for this? Why did the Security Council allow this? All simple. They wanted to leave a mark on something. I would say that it is because of pure hatred and vindictiveness but I will not. Obama was a huge failure as a president. He took a 6 trillion dollar deficit and almost quadrupled it. China owes a huge chunk of the US national debt. What if they come to Trump and ask for him to repay the debt? The Security Council and Obama are responsible for the death of over half a million Syrians, yet instead of dealing with that, they condemn Israel for building in her own homeland. Can you fathom that? Pure hypocrisy. The resolution against "settlements" is a joke, the wording is unbelievable and actually goes against all international law, if the UN had any idea what international law is. It also goes against previous binding Security Council resolutions such as 242. Strangely Russia and China are occupying nations so why would they let this resolution pass? Quite unbelievable. Reaffirms that the establishment by Israel of settlements in the Palestinian territory occupied since 1967, including East Jerusalem, has no legal validity and constitutes a flagrant violation under international law and a major obstacle to the achievement of the two-State solution and a just, lasting and comprehensive peace; This statement is an affront to any logic. It goes against the law written down in 1921. What Palestinian territory? There was no Palestinian territory. 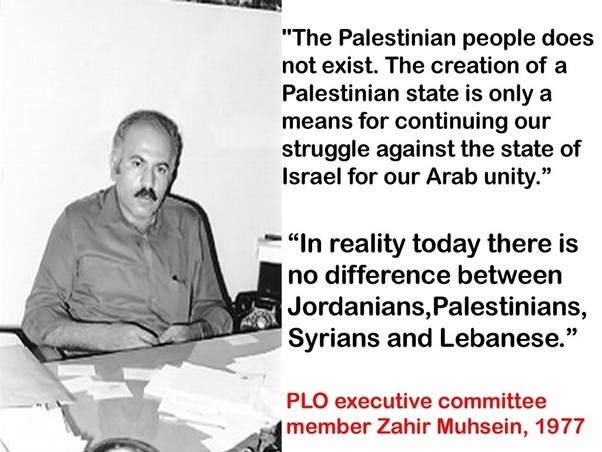 When the PLO was created in 1964, they claimed that the area occupied by Jordan which people now call the West Bank, was not a part of their demands. East Jerusalem was Jewish for 4000 years. Actually King David paid money for it, although he had no need to. Why does it matter that New Zealand is a Christian country and this was a nice gift? Have you read the bible? Even the old testament? Isn't New Zealand itself an occupying power? Isn't America with its own occupation of Texas? China? Russia? Spain with its control of Catalonia? Catalonia recently demanded to be free from Spain, but Madrid rejected this. Reiterates its demand that Israel immediately and completely cease all settlement activities in the occupied Palestinian territory, including East Jerusalem, and that it fully respect all of its legal obligations in this regard; This statement is an affront to any logic. It goes against the law written down in 1921. What occupied Palestinian territory? Since when was it occupied? Who are we occupying it from? Up until the Jordanian occupation, it was Judea and Samaria. If you want to use a legal term, you can refer to it as disputed territories. Underlines that it will not recognize any changes to the 4 June 1967 lines, including with regard to Jerusalem, other than those agreed by the parties through negotiations; Hello, heard of 242? Oslo? Do you know that the 4th June 1967 line was simply a ceasefire line? The cease-fire agreements of 1949 that delimited them explicitly say that they are just the lines marking the locations of the armies when the shooting stopped. They are not borders meaning that they have no political significance. Do you know that it was the Arabs who insisted on this because they wanted to gain more territory in the future? Stresses that the cessation of all Israeli settlement activities is essential for salvaging the two-State solution, and calls for affirmative steps to be taken immediately to reverse the negative trends on the ground that are imperiling the two-State solution; What two-state solution now? Calls upon all States, bearing in mind paragraph 1 of this resolution, to distinguish, in their relevant dealings, between the territory of the State of Israel and the territories occupied since 1967; Well, now the BDS are going to have fun. Little wonder that BDS stands for Brain Dysfunction Syndrome. What actually happened was that with the aid of Obama and the French, the Palestinians have hijacked every major UN institution! This is in total disrespect of every agreement they signed with Israel. New Zealand explained their un-Christian like action as Israeli settlements are “the single biggest threat to peace” and the “primary threat to the viability of the two-state solution." Are they being serious? Are they totally brain dead? Settlements? Not the fact that the Palestinians were offered statehood in 2000, 2009 and 2014 and turned to pure terror. Ukraine said they voted because it was balanced. Is everyone that stupid? What this resolution has shown is that terror works. Why should the Arabs negotiate? The UN just hands them everything on a platter. Barely 70 years ago the world defeated Nazis. Now pure evil has risen again, but this time far worse. Can anyone trust the Obama administration? Will the world survive this new evil. John Brennan, current head of the CIA converted to Islam while stationed in Saudi Arabia as I mentioned in a previous post. He even refers to Jerusalem as Al-Quds. John Kerry's son-in-law is Iranian with family still in Iran. Tell me that did not influence the Iran nuclear deal. Obama's top adviser, Valerie Jarrett, is a Muslim who was born in Iran where her parents still live. Hillary Clinton's top adviser, Huma Abedin is a Muslim, whose mother and brother are involved in the now outlawed Muslim Brotherhood in Egypt. Hillary Clinton's new running mate, Virginia Senator Tim Kaine, has a history of embracing Islamists. He appointed a Hamas supporter to a state immigration commission; spoke at a dinner honoring a Muslim Brotherhood terror suspect; and received donations from well-known Islamist groups. He came under suspicion by the FBI more than once when the FBI was still allowed to investigate Islam. Obama's Sharia Czar, Imam Mohamed Magid, of the Islamic Society of North America is a Muslim. Let us face it, Hilary Clinton was a very bad candidate as was Bernie Sanders. HRC's main advisor was a proponent of Sharia and so were many of her backers. So people said "what difference does a few emails make?" or "so she made a mistake" and if the FBI did not find anything incriminating, she must be innocent. OK, people, wake up. She tried to destroy the emails. She destroyed 13 smartphones with a hammer. Suspicious? Even more suspicious was that Loretta Lynch, the DOJ, was also Bill Clinton's lawyer against all those women who accused him. He and Lynch met together and the next day she decides not to indict his wife? How about a rumor that says that the wife of the head of FBI was given money by the Clinton Foundation? Do I know if these are true or not, NOPE. But there is too much. 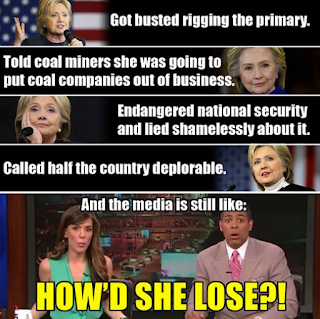 One thing for sure, she does not know what the truth is. She also said that you must have two views, one public and one private and carry out your private views. Hello, that is the Islamic method. If it is true or not that during her time as Secretary of State, people paid the Clinton Foundation for a meeting with her, I do not really know. I just know that her advisors are also pro J-Street and that is as bad as there is. George Sorros seems hell bent on destroying America. So America fought back. They wanted change. Has HRC or Obama condemned the riots? Not at all. Obama fueled them while on a trip to Europe, paid for by the American people. Any idea why he went to Europe? A lame duck president? Donald Trump was not a good candidate, but with 400 million people, he was the best that America had to offer. I wonder if he is going to #DrainTheSwamp and get rid of the Islamic hold of America and make America great again? I call for an international summit to discuss the issue of dividing France into two countries for two nations, the French nation which will retain the name Republic of France and the other nation will be the Islamic Caliphate of France with Paris as its capital. If the French do not agree, then it will be illegal for a person of French origin to live in occupied Paris. They must withdraw from Paris and all parts of Eastern and southern France before November 2017. If not, they will be in violation of international law. Does this sound familiar to you? We have been saying the same idea for years. Although this is supposed to be a joke based on the idea of the upcoming French initiative in which they said that if Israel does not accept their conditions, they will recognize a Palestinian State on Israeli territory. Now, any idiot will say, unless you are a French politician or a member of the radical far-left, if that is the case, the Palestinians will get everything they demand, despite having absolutely no rights, not legally, historical, moral or religious, so why should they negotiate? Because the French want to feel important! Forget the small issue that the French initiative is in TOTAL VIOLATION of international law of which they are signatories, not one of the multitude of Islamic countries, but the French. They want to feel important, on the backs of others. But in essence, do the Arabs want another failed state? They have rejected overtures very often. Who will line their pockets if they get a state? How will the leaders get their billions? Look at the billionaires: Ismail Haniya, Khaled Mashal, Mahmood Abbas and Saeb Arekat. Look at how Yassir Arafat milked the coffers to become a billionaire. I call for an international summit to discuss the issue of dividing France into two nations for two peoples, the French nation which will retain the name Republic of France and the Islamic Caliphate of France with Paris as its capital. The terror attacks in France have shown that it is time to make necessary changes in France. No longer can the French accept living in terror. No longer must they execute without trial, poor Muslims who simply want to murder people. Muslims are clearly waging war on France to transform the county into Dar Al Islam and it is time that France must start negotiations with them. The world now realizes that France cannot do it themselves, so we call on the international summit. 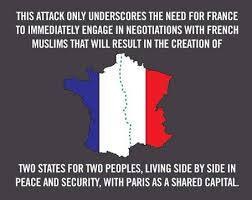 If they fail, we will divide France unilaterally as they did in the Middle East over a 100 years ago. Isn't my attempt at humor similar to what is happening at the moment? As I have blogged before, Sharia Law divides the world into two domains Dar Al-Harb ( (territory of war or chaos) and Dar Al-Islam (territory of submission). Any place ruled by the laws of Islam even if the majority of the inhabitants are not Muslim is considered Dar Al Islam and no longer needs to be conquered. 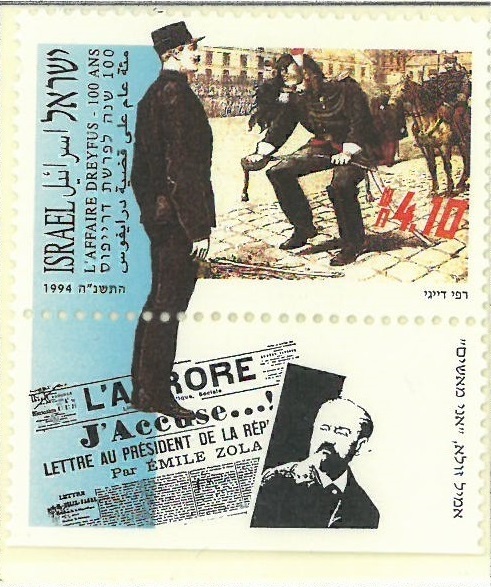 Some people say that Israel should give the French a chance, should we trust the French? Well let us look at our history with France. During the first crusade (1096), a thousand years ago, the French placed Jews of Rouen in a Church and murdered them. Jews throughout France were at that time in great fear, and wrote to their brothers in the Rhine countries making known to them their terror and asking them to fast and pray. In the Rhineland thousands of Jews were killed by the crusaders. The French stole our property. Then there were expulsions, massacres, allowing us to return, expulsions, massacres, and a cycle. We stupidly did return. Who understands why? But hatred of Jews reigned for a thousand years in France. Dreyfus case anyone? That was only a 100 years ago. Holocaust? The French were willing partners. What about their actions against Israel since 1967? Will the French ever return all the money, land an other property they stole from us? Probably valued today as 1000 Trillion dollars. That would help my own bank account a bit. Jews have been living in France for more years than there was an Islamic presence in France, or even in Israel, should we also demand a part of France as a satellite of Israel? So I ask again, why should we trust the French?